Need a x-ray? Look no further than Lundberg Medical Imaging. An x-ray machine produces a tiny burst of radiation, at a safe level, which passes through your body and records an image on a specialized plate or cassette. You can’t feel the x-ray passing through you. Some people worry that x-rays aren’t safe, but the amount of radiation you are exposed to during an x-ray is so small that the risk of any damage to your body’s cells is extremely low. A technologist positions your body to obtain the necessary views. During the exposure you remain still and on certain type of x-rays you may be asked to hold your breath to avoid motion on the image. An x-ray may take only a few minutes, but if multiple x-rays are ordered the length of your visit may take longer. You will be asked to remove any jewelry, glasses, hearing aids and metal objects that may obscure the x-ray image. You may be asked to undress and put on a gown depending on the area being examined. The technologist will have you remain in the room while they consult with the radiologist on image quality and completeness. Additional images may be required by the physician. At Lundberg Medical Imaging, you will be given your study results before you leave our facility. If a young child is having an x-ray, restraints or immobilization techniques may be used to help keep them still. These will not harm your child and will prevent the need to repeat the image due to motion. For radiation shielding purposes, a lead apron will be given to your child if it does not interfere with the area being examined. You will be allowed to remain with your child during the test and will also be asked to wear a lead apron to shield you from unnecessary exposure. 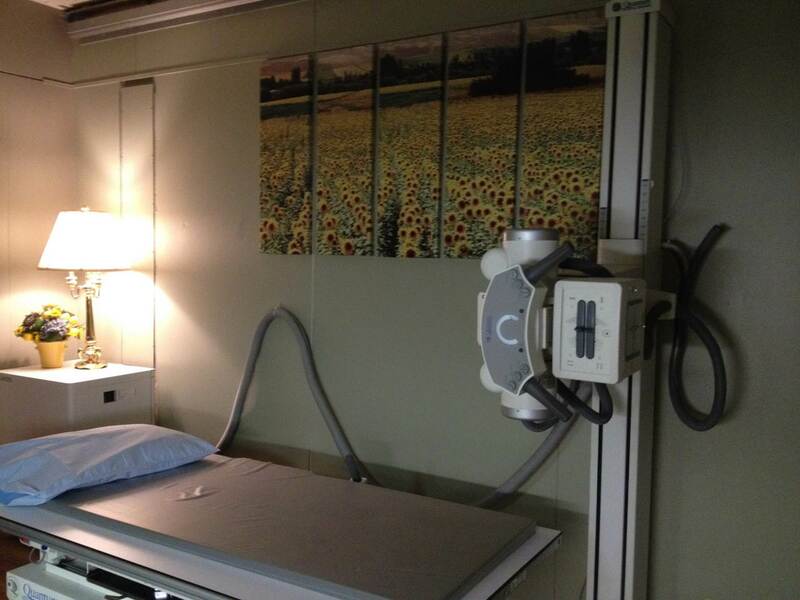 Routine x-rays have no side effects and you can resume your normal activities. If you are pregnant or suspect you may be pregnant, inform your doctor and the technologist before having an x-ray. Though the risk of most x-rays to an unborn baby is small, your doctor may consider a different imaging test. If you have any questions don’t hesitate to call us at (270) 442-8272.